You may know Gamevil as the developer of the ever-popular Zenonia and Baseball Superstars series, and a bunch of other awesome games, but their latest leaves something to be desired. Similar to their earlier title Cartoon Wars: Gunner+, Gamevil's latest installment - Cartoon Wars - uses a well-know (if not overused) game concept, which is just a nice little time-killer at best. That being said, it's still fun to play and does a good job at keeping you occupied. The story behind the war that is tearing Cartoon World apart is one of oppression and slavery. The Black and White Tribe had been enslaved by the Color Tribe for generations, until they figured it was time for a revolution, so they went up in arms and marched into war. Your job is to lead the Black and White Tribe to victory and set them free. Honestly there isn't much to the game. On one side of the screen sits your castle, and on the other is the enemy's. In between the two is a vast no-man's-land in which the battles will take place. The objective is to fight your way to the opposing castle and destroy it within 20 minutes. 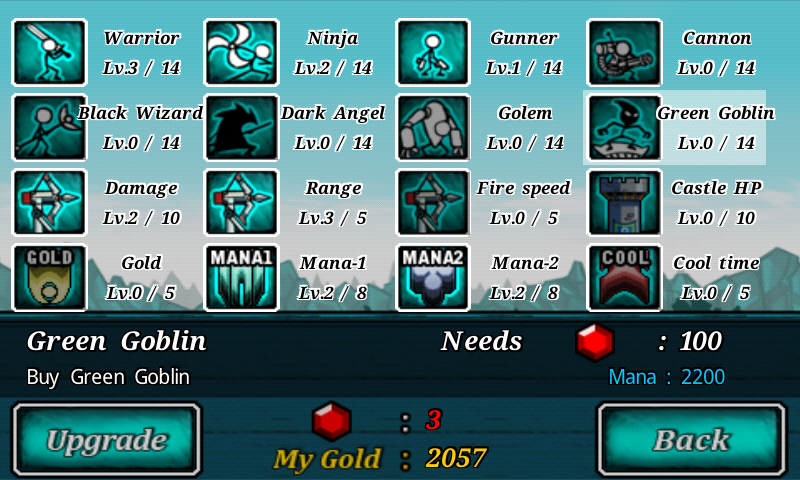 You can deploy units of warriors, ninjas, gunners, wizards, and much more to demolish your foes. Each unit will cost you a set amount of mana, which regenerates over time. You start the game off with just warriors, and have to unlock the rest throughout the game. Your castle is also equipped with a giant bow that can fire an unlimited amount of arrows onto the field if the battle gets too close to home. 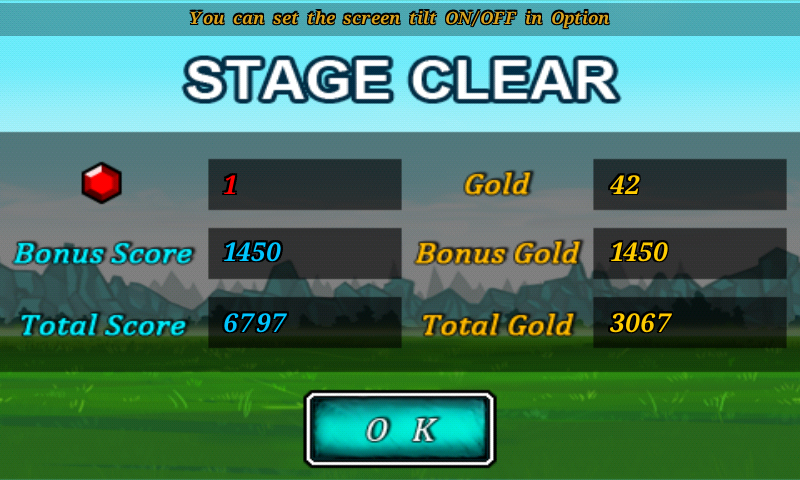 Killing enemies earns you gold and winning a stage will earn you a ruby or two, which can both be used to upgrade your army and castle. What's unfortunate is that many of the cooler, more powerful units require a higher number of rubies to unlock. 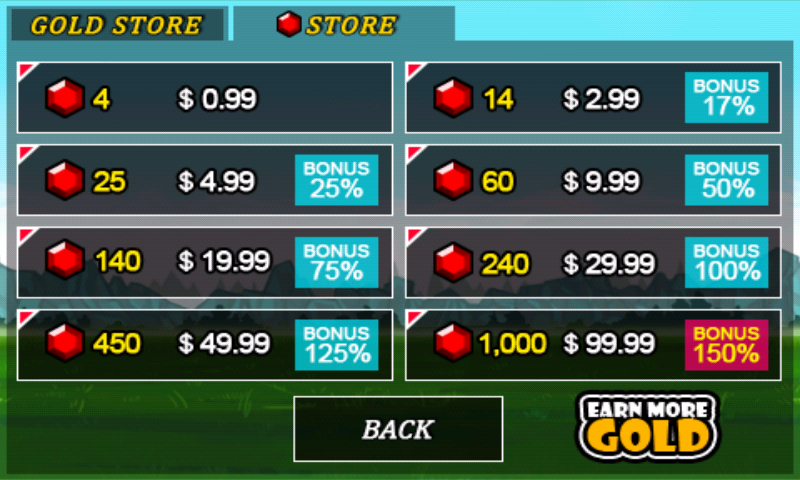 Seeing as you earn a minute amount of rubies per win, I'm sure you can see where this is going, you will have to buy bundles of rubies and gold with real money to progress faster through the game. In my opinion, the entire game feels a bit rushed and poorly thrown together. There are definitely better alternatives out there, but Cartoon War will do if you're looking for a simple way to kill some time. Just keep in mind that to further progress and unlock the things you really want, you'll either have to play for a long time or make an in-app purchase. Don't get me wrong, I love many other games from Gamevil, but this one just doesn't feel right to me. I would much rather play Cartoon War: Gunner+. On the plus side, it is free to play. So hit the link below if you'd like to check it out.